Hey you! Yes, you! Do you make movies? And given the Kardash-ification of America I should clarify: “Do you make movies that you WANT other people to see?” If so, Film Streams needs you! 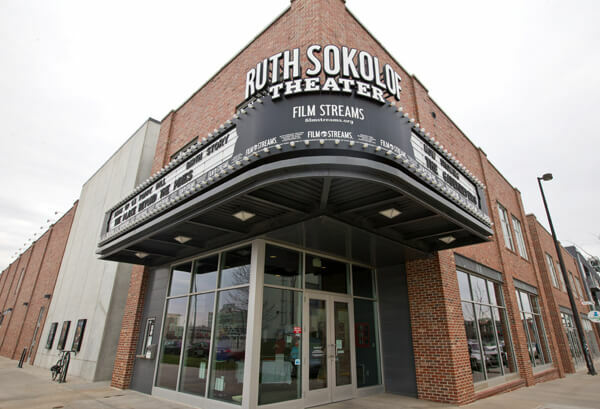 Filmmakers who are residents of (or full-time school attendees in) Nebraska, Iowa, or South Dakota are encouraged to send in their work for the Sixth Annual Local Filmmakers Showcase. You get a maximum of 3 submissions that must be received no later than July 23, 2015. The films can’t have been screened for a paying audience, so movies you forced loved ones to endure for free still count. You can send a DVD along with the submission form (http://j.mp/1OKJLgH) to Brooke Masek, PO Box 8485, Omaha, NE 68108. Or you can send a link to the film and the submission form to brooke@filmstreams.org. Not only is there no fee for entry, but if you do get chosen, you get to go to an opening night celebration and screening on Thursday, Oct 8 and you get a percentage of the box office for the week-long run and an honorarium. Oh, and the showcase will tour the region, including Iowa and South Dakota. Man, that’s a lot of details that I included. I feel like the end of a pharmaceutical commercial. Do check with your doctor if this made you excited for more than 4 hours. As if you needed the press release to know, the movie that was the fastest to $1 billion worldwide is getting a sequel. Furious 8 will be released in 2017. Even the titles of these movies no longer make sense. We were going Fast and Furious then alternating often, Fast 5 and Furious 7. I think dropping the Fast is smart as this isn’t so much about cars anymore so much as it is about Vin Diesel’s growing superpowers. Now he has the power of flight and the ability to stomp down a parking garage. Give him telepathy next, just so we can make sure Tyrese is thinking about what we all think he’s thinking about. Don’t worry guys, I know the Teenage Mutant Ninja Turtles reboot wasn’t the best foot forward the series could have put out there. We fixed it. Tyler Perry will be in the sequel. So that does it, right? Everybody is excited now? Where are you going?